PF cadres this morning attempted to bribe voters taking part in the Lealui Lower ward local government bye election in Mongu Central Constituency. The PF members were paying K200 to potential voters in exchange for them to vote for the PF candidate but alert members of the public raised alarm forcing the PF crooks to flee. The bye election in Lealui Lower ward was induced by the PF after they bribed the UPND councillor to resign. As of 10:42 hours this morning, 313 voters had cast their votes at Lealui Basic School polling station which has 924 registered voters. The ward has 4 polling districts with a total of 3,072 registered voters. Voting is currently going on for local government by-elections in 16 wards dotted across the country. 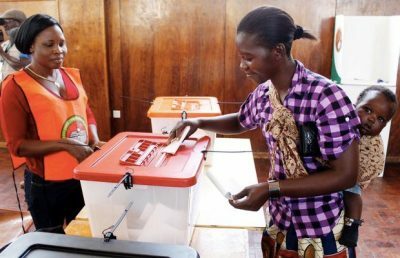 The wards include Chiwuyu ward in Sinda, Mudyanyama ward in Mwinilunga, Nampundwe Ward in Mwembeshi Constituency in Shibuyunji and Munwa ward in Mwense, Luapula. Others are Muchima in Mufumbwe, Kanongo in Kasempa, Kakoma in Mafinga, Kalebe in Shiwang’andu, Mikunku in Chinsali and Kalulushi and Kansuswa in Mufulira on the Copperbelt. The rest are Ntumbachushi in Kawambwa, Chiweza in Nyimba and Mwaanza East in Monze. Most of the bye elections were caused by the PF bribing opposition councillors to resign and defect to the PF. As much as k200,000 was being offered for each councillor targeted to defect but party leaders among them Antonio Mwanza and Davies Mwila only released k20,000 for each defector and pocketed the rest.